People don’t start breweries or distilleries because they love branding, they start them because they love crafting drinks. YET, IF YOU ARE IN THE CRAFT BEVERAGE BUSINESS, YOU ARE REALLY ALSO IN THE BRANDING BUSINESS. There are so many craft bevvies on shelves and taps across the country, do you have the time, skills and resources to propel your brand and stand out from the rest? Or is it best for you to focus on your real passion and skills? At Craft Instinct, brand is at the heart of everything we do. From the simplest of flyers, to logo creation, maintaining a strong and consistent brand is THE key to having success in the marketplace. We create brands for our clients, that become one of the most valuable assets for that company. Make no mistake, no matter how good your product is, if you havent got the brand to reflect it, it will not sell to its potential. Branding can be confusing, confronting and time consuming, but also exciting, and very rewarding (a bit like brewing beer!). At Craft Instinct, we are with you every step of the way, and take the time to delve in deep, to find out what is at the heart of your business's insides, so we can reflect it on the outside. Creating a brand from scratch is one of the most rewarding parts of our job at Craft Instinct. Starting out with our Brand Discovery workshop, we worked with the crew at Hargreaves Hill Brewing Co to create a sub-brand that would be released in soley cans, be appealing to a young, adventurous audience and be and absolute show stopper on the shelf. It was quite the journey from start to finish! The end result is one of our proudest yet. While the packaging is simple, bold and jumps of the shelf, we also took a lot of time to develop a reason for being, and purpose for Beatnik. The brand is designed to appeal to the ‘wanderlust’ in ourselves, using all brand touch points such as the website, posters, and social to tell this story. 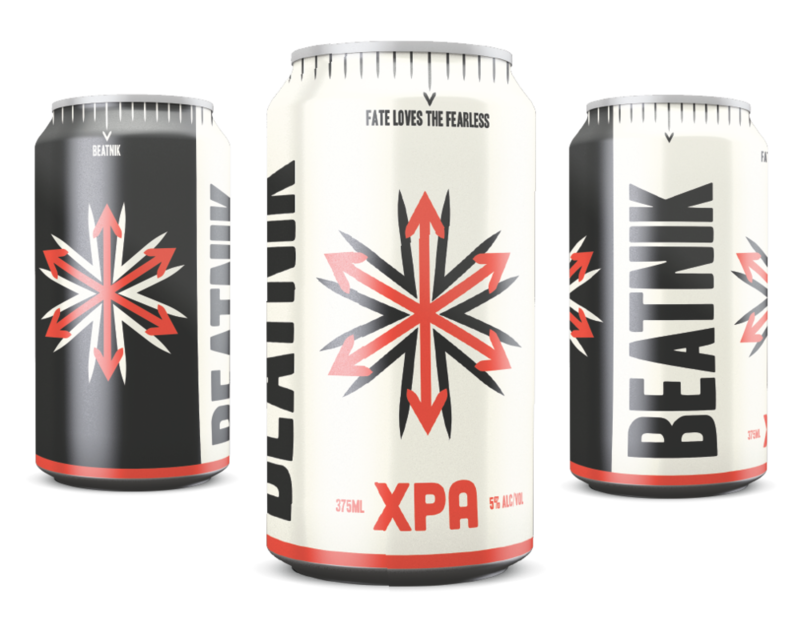 Beatnik’s sessionable styles and ‘can’ packaging are chosen so that Beatnik will be the beer our consumers want to take on an adventure. Using Jack Kerouac quotes, and travel photography throughout the Beatnik marketing material, we begin to tell the story of Beatnik. Beatnik is the start of an adventure of the inner and outer worlds, of flavour, of enjoyment and of ourselves. Beatnik beers are big flavoured and highly sessionable, and explore the outer edges of the known universe. The two Adams from Adam’s Whiskey Distillery in Tasmania got in touch when they decided to try their hand in craft brewing. As the brewery where they gypsy brewed their first beers was surrounded with prime Angus cattle, the name seemed obvious. The Adams had a concept, a skull, and as they were releasing two beers to launch, a stout and a pale ale, we decided to explore the relationship a theme of dark vs light. Craft Instinct created not only the logo, illustrations and label designs for this project, but were also closely involved in the naming of the SKUs. Utilising the pack, we spent a lot of time creating and finessing the skull illustrations. The skull needed to be flexible enough to work over many different releases, with different themes, so a ‘candy skull’ concept was chosen. The shape of the skull, and consistent placement throughout the releases creates a strong, easily recognisable brand, that pops from the shelf. The first two releases utilise foils and textured labels, the outcome below. Hargreaves Hill is a well respected brewery from the Yarra Valley. 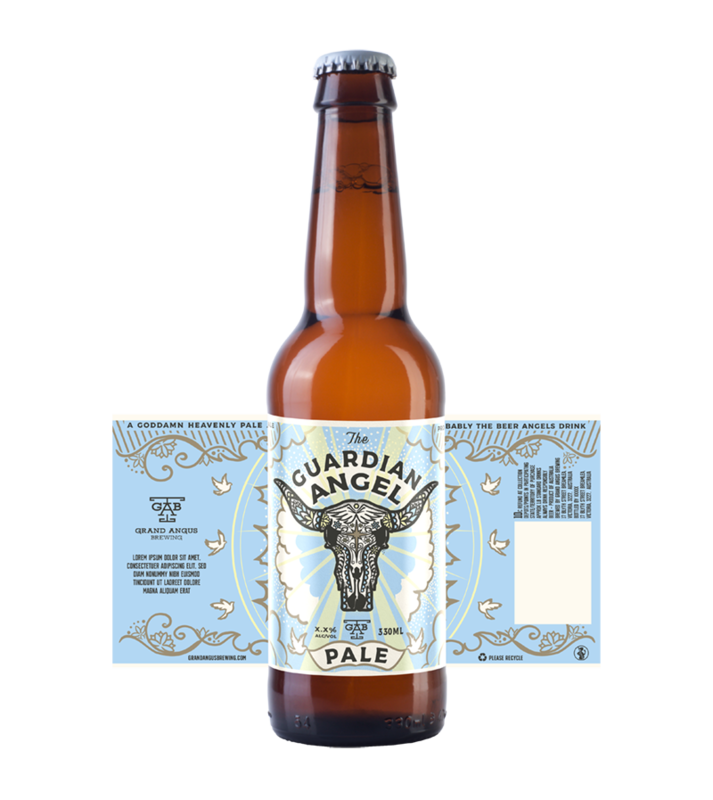 Established in 2004, by Australian standards they were one of the early birds to the craft beer scene. They are best known for their multi-awarding winning ESB, and have always projected a refined & traditional brand. A re-brand was called for due to the rapidly growing craft beer movement. Labels that were stand outs on the shelf 5 years ago, had become wall flowers. The crowded market place calls for bolder branding, the challenge was to this, while maintaining their traditional, refined brand. We also rebuilt their website, took over the reins of their social media and designed an advertising campaign to reach their target audience, and create a strong, consistent message that stood out in the marketplace. The style of art deco posters spoke to Hargreaves Hill's 'refined' target audience, while also standing out as with its unique and bold imagery. Art deco poster style was applied across the board with posters, sell sheets, tasting notes, shelf talkers and digital promo. The Hargreaves Hill restaurant needed some branding love too! The website re-design is clean, easy to navigate and includes a beer finders and online store. A rebrand is huge fun here at Craft Instinct HQ, but it comes with a big set of challenges. 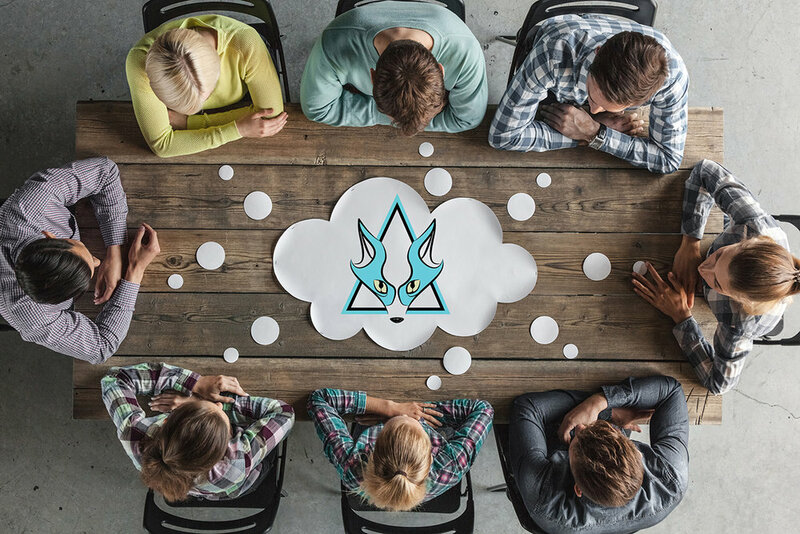 A rebrand usually comes when a business has evolved from what it started out as, and needs a new look and feel to take it where it wants to go. This was the case for 'The Crafty Pint', Australia's most popular craft beer website. What had started out as a beer blog, had evolved into a respected voice and powerful space for exposure within the Australian beer community. We needed a logo that represented an authoritative voice, that acted through love, but didnt take itself too seriously. We jokingly had a brief was 'a cross between Beer Jesus and Dumbledore', and funnily enough, the outcome was pretty close to that (think stained glass windows and the deathly hallows)! The logo needed to reference beer, but not be obviously beer, it also needed to be eye catching and 'look good on a T-Shirt'. We wanted to launch with a bang! Pages colours coordinated with their relative icon. Once we had our logo and icon set, it was time to apply the new brand across all Crafty Pint applications. Obviously first up was the website. The content and layout of the website was working well, so it just needed a re-skin to implement the new brand. We wanted to launch with a bang, so we used a somewhat psychedelic wallpaper, with moving parts for the homepage, and also animated the logo so viewers would recognise it as a 'character', and appreciate the many separate parts of the logo that made up its whole. We also wanted to give all Crafty Pint's offerings the same look and feel, the main secondary scheme being the 'Crafty Cabal', so to link these two together we chose a triangle icon and the same font for the Crafty Pint logo. Next up, the logo needed to be flexible to work as a series of icons, one for each of the pages on the website. It was a journey, but the end result fulfilled all these requirements, with the colour scheme managing to represent founder James Smith's personality and flair.